Charles Turner says the CHOP program helped end his personal cycle of going to jail and living on the streets of Jacksonville. A program is helping reduce chronic homelessness in Northeast Florida while saving taxpayers money. On a recent morning, Charles Turner was arriving at the Sulzbacher Center in downtown Jacksonville. “I lived on the street for many years—more than I even care to remember. It is such a privilege and an honor to be in a program that’s really helping me become reinitiated back into society and live like a true human being again,” he says. Turner is now enrolled in college, off the streets and enjoying a brand new life after being chronically homeless for decades. He is one of several men who participated in the pilot year of the Chronic Homeless Offenders Program, or CHOP, a support and intervention program for chronic homeless petty criminal offenders in Jacksonville and Jacksonville Beach. “I had given up trying to find a job and I was just really going to jail often...you know in and out for little crimes like trespassing,” Turner remembers. Many homeless people end up charged with minor crimes, like vagrancy. But Instead of jail sentences for misdemeanors, the program offers an alternative: probation along with stable housing, full medical support, peer counseling and case managers to work with them on a weekly basis. The services are all paid for with federal and private grants. The program is a collaboration between hospitals, the Jacksonville Sheriff's Office, the state attorney's office and the nonprofit Sulzbacher Center for homeless services. Their goal is stopping the costly cycling of people between the streets, jails, shelters and emergency rooms. Sulzbacher Center President Cindy Funkhouser says the collaborative effort is successful because of attention to each person’s unique needs. “In essence, it is saving the system at large so much money. The hospitals, the jails, the social services agencies…and these people now have the dignity of being housed and getting their life back,” she says. The year-old program has already drastically reduced arrests and hospital visits among its 25 participants. Some of them used to get arrested dozens of times a year. 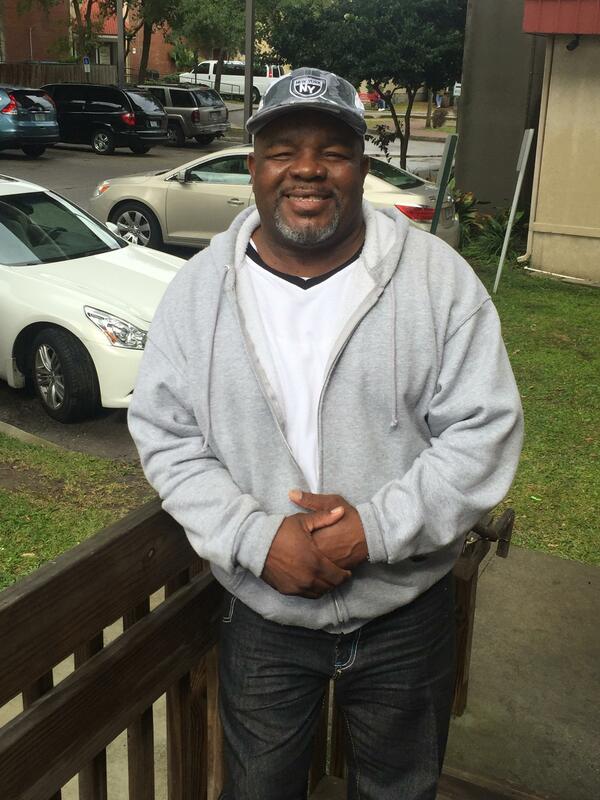 People like Charles Turner now have income, housing and health care. “My real goals for the future are just to be able to pay for my own rent…have some insurance, buy my own groceries, buy my own clothes, maybe get a car and, good Lord willing maybe even find me a wife,” he says. The Sulzbacher Center is working on expanding the program, and Funkhouser hopes it becomes a national model for reducing homelessness. At the Doubletree Hilton Hotel on the Southbank of Jacksonville, more than 100 people were getting settled at round tables, Thursday. It was day one of the action camp called: ZERO 2016, an intense two-day event aimed at ending veteran homelessness. A Jacksonville homeless center is set to close at the end of the month because it’s been cut from the city budget. An Orange County public school teacher is in Jacksonville this week to bring attention to issues facing homeless people. 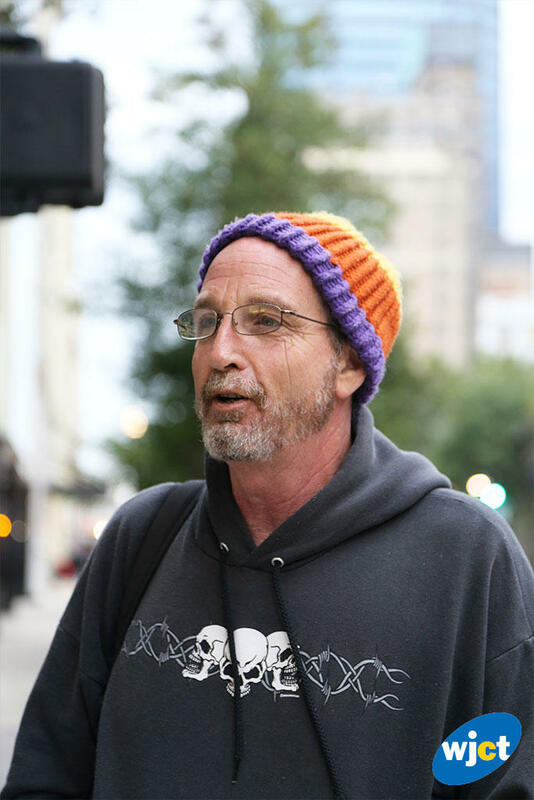 Thomas Rebman took a year off from his career to live homeless in cities around Florida. He was across the street from Jacksonville’s Hemming Park Friday morning.